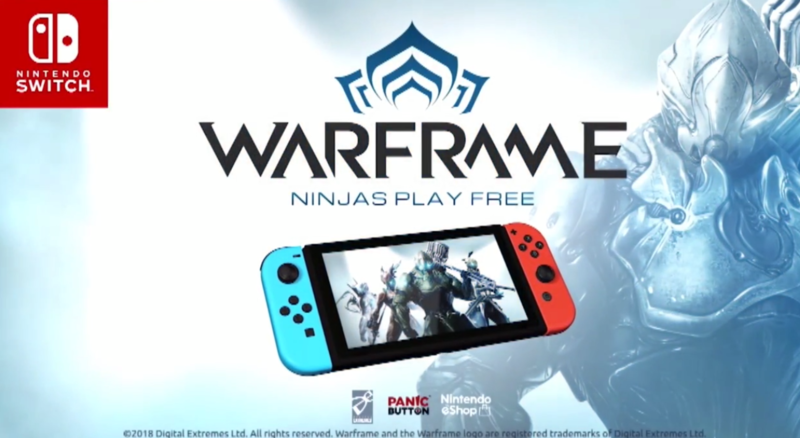 Digital Extremes confirmed this week that Warframe will be available on November 20th for Nintendo Switch. The port was originally announced during the latest TennoCon event. The game on Nintendo Switch will include motion control and built-in voice chat. As with any other platforms, it’s going to be free-to-play. Check out some new gameplay footage below. With more than 38 million registered players worldwide, the cooperative, free-to-play hit Warframe is a third-person online action game set in an evolving sci-fi world. The game gives players the chance to master the Warframe armor as the enigmatic Tenno, a race of ancient warriors wielding blade and gun, who are awakened from centuries of cryo-sleep by the mysterious guide, Lotus, to restore order throughout the Solar System. All of the content up to the Mask of the Revenant update — updates, weapons, Warframes, items, gear — are included at Nintendo Switch launch. The current Prime Access program will provide players with access to Nova Prime, Mag Prime, and Chroma Prime, and will be in-line with currently running Prime programs on all other systems at launch. Post-Launch Content: Warframe is a games-as-a-service title constantly offering regular free updates. The open world Fortuna expansion will arrive on Nintendo Switch soon. Garuda, the 37th Warframe, will arrive on Nintendo Switch simultaneous with the Fortuna update. The game on Nintendo Switch will be in content parity with all other consoles in 2019 (exact date TBD). Chat: Warframe provides built-in voice chat, and does not require the Nintendo Switch Online App. Cross-Play: Digital Extremes loves the idea of cross-play, but currently the game does not support it. Migrating Accounts – Just like with the PS4 and Xbox One accounts, Digital Extremes will permit players to migrate their PC account to their Nintendo Switch account. This will happen during a limited time frame from day one at launch to a future date (TBD). You can find more information on this page.